Dubai: Minister of Culture and Knowledge Development Sheikh Nahyan Bin Mubarak Al Nahyan alongside Ministers from the UAE cabinet met with chairmen and senior executives from leading local companies to discuss ways to support leaders as they plan for the future of the country. 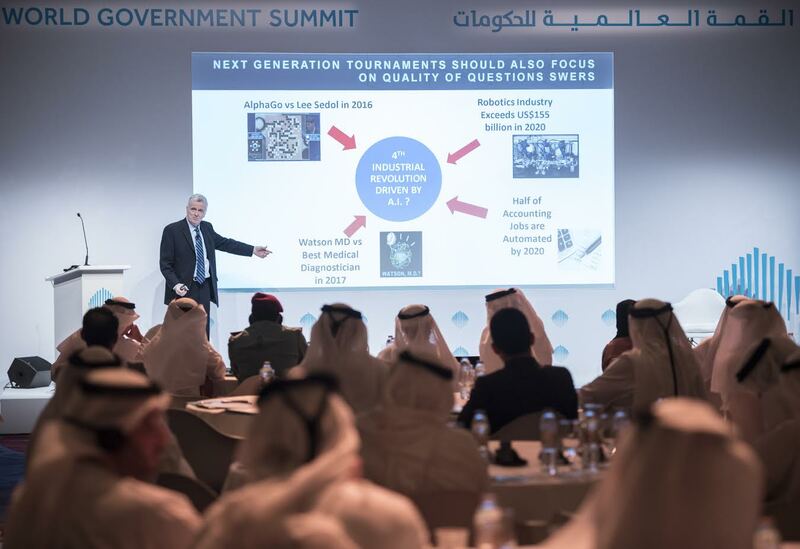 The first of its kind, the ‘Masterclass’ on Superforecasting was organised by the World Government Summit organisation and titled “Superforecasting: Enabling Better Decisions by Enhancing Foresight” – explored the future of the UAE and the region. “This ‘Masterclass’ embodies His Highness’ visions and resonates with the objectives of the World Government Summit organisation, as we aim to produce knowledge for the next generation of governments in collaboration with international organisations and experts from around the world,” AlOlama noted, adding that the Summit constitutes a leading international platform to exchange knowledge and experiences, and develop advanced service models that adhere to the future-focused initiatives and strategies launched by the government of the UAE – the UAE Strategy for the Future, in particular. The Masterclass series seeks to support the efforts of the UAE Government and the World Government Summit organisation, and strengthen national capacities in the field of planning for the future. The organisation will work to bring the future-building efforts up to the highest levels of leadership in ministries and government agencies. Professor Philip Tetlock, Specialist in Psychology and Political Science from the University of Pennsylvania in the United States, delivered the Masterclass. Prof. Tetlock has a vested interest and knowledge in building the future and has published over 200 articles and books, including a book titled “Superforecasting: The Art and Science of Prediction”. The Masterclass included session on how to plan for the next 10, 50 and 100 years. The session focused on defining what long-term planning is and identifying the necessary skills to achieve it, as well as methods of analysing past trends in order to foresee the future with greater accuracy. Furthermore, the session looks to make the concept of foreseeing the future mainstream, and devise ways to convey it to those in charge in order to draw strategies, plans, and policies. The Masterclass concluded with exercises on planning for the future over periods of 10, 50, and 100 years, where participants drew up future scenarios for the sectors related to their fields of specialty.